Call Now to Schedule a FREE In-Home Estimate! 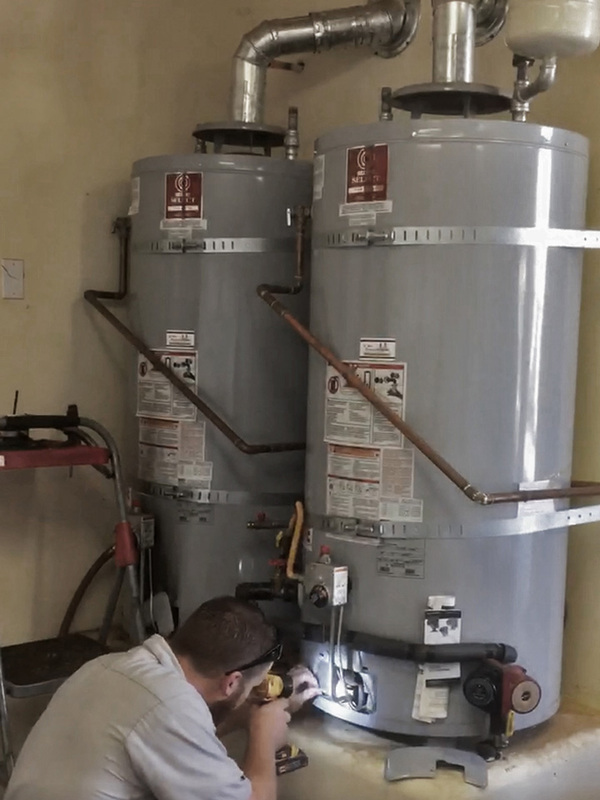 There are many factors that come into play when installing or replacing a water heater: Such as the height, width, fuel type, capacity size, efficiency rating, exhaust, location... All the way to current building codes and requirements. With all of these factors, it's easy to see why hiring a licensed plumbing contractor for your water heater installation is your best route. Our technicians can offer their expertise to find a water heating solution that fits your needs and your budget. We carry a selection of water heaters in stock, allowing us to provide same day water heater installation and replacements. As a licensed plumbing contractor, all of our work meets local building code requirements. 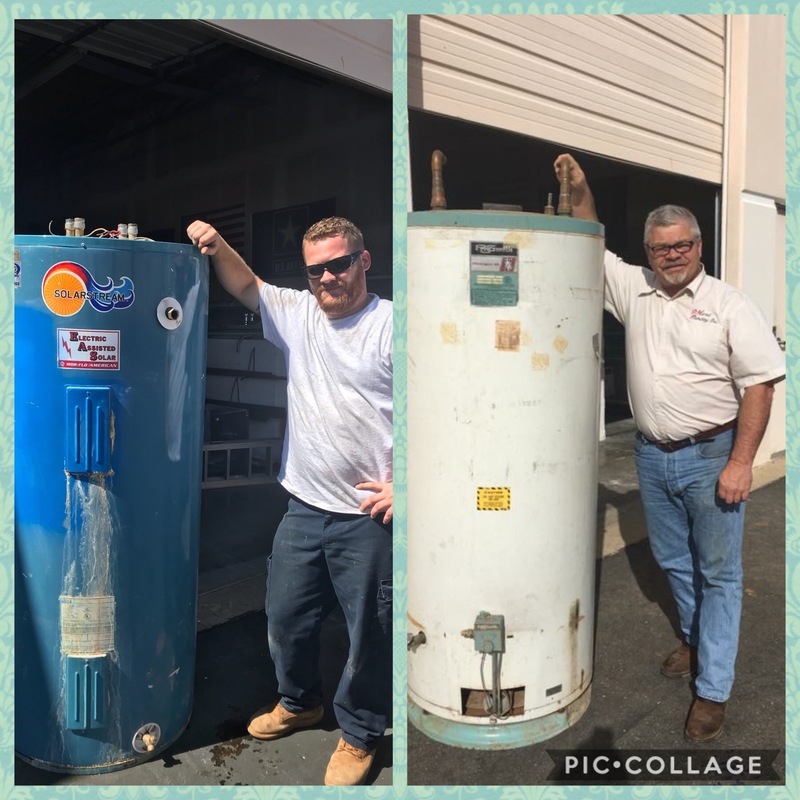 Free Disposal of Your Old Water Heater! Water heaters are one of the most relied upon pieces in your entire plumbing system. Whether you have a natural gas water heater, propane or electric, you expect it to work efficiently and deliver hot water effectively. 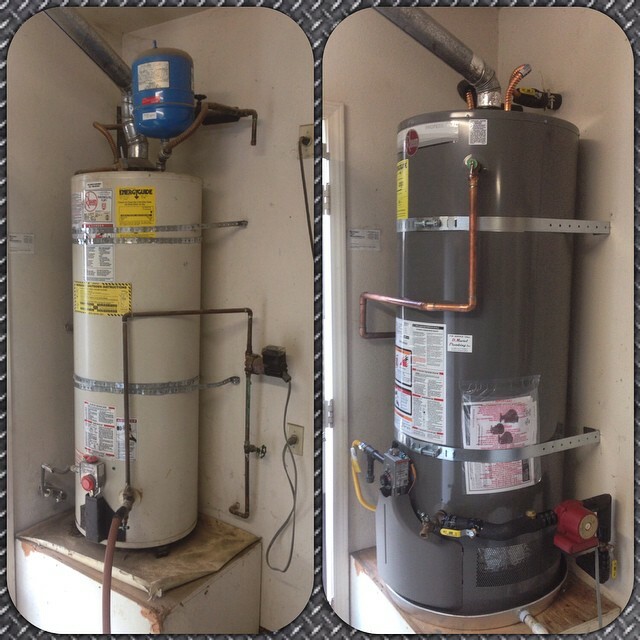 Similar to a car, the life of a water heater relies heavily on how well and how often it is maintained. 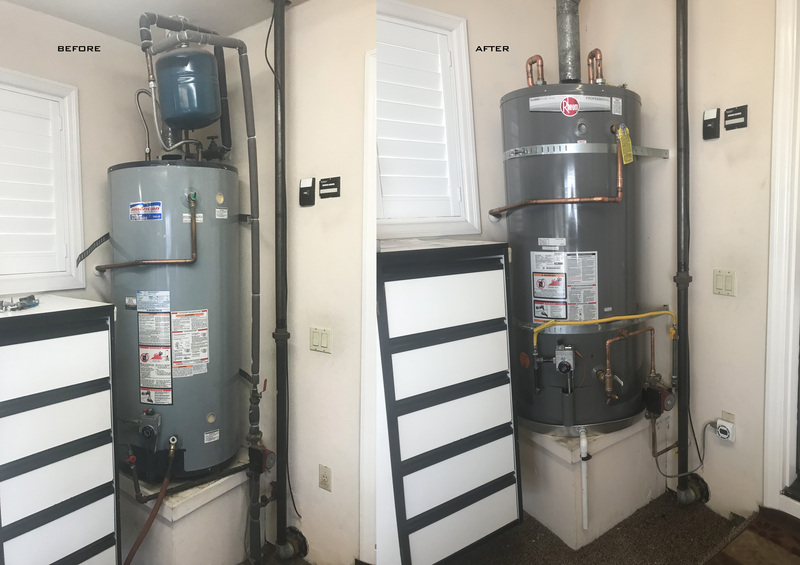 Unfortunately, water heater maintenance is not always our top priority on our list of things to do, if it even makes the list at all. 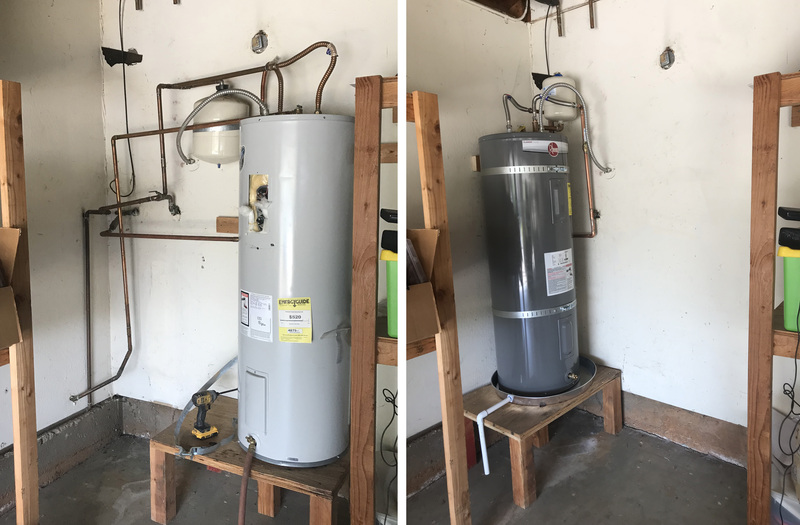 Due to the demand and constant workload, various issues can arise throughout the life of a water heater. This is the most common issue. Typical causes include a tripped electrical breaker or pilot light went out, obstruction in the pilot assembly, failed thermal coupler etc. 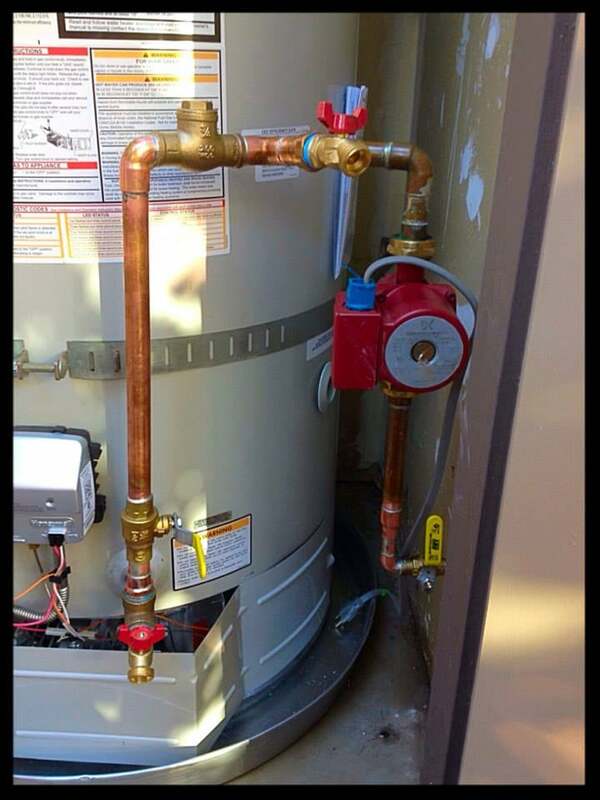 Natural Gas and Propane water heaters require a pilot assembly to control the production of heat. Common issues include clogged pilot, inefficient fuel supply, clogged or obstructed supply line, inefficient or obstructed air supply, failed pilot assembly etc. 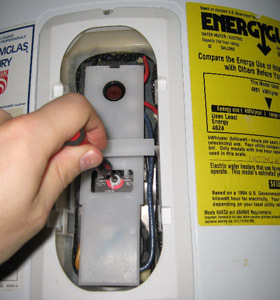 Leaking water heaters should be addressed as soon as possible to limit the amount of damage. Minor leaks and drips can cause mold, water damage and rust on the water heater, while major leaks can potentially cause a major flood and quite a bit more damage. Causes of water heater leaks can range from loose fittings, cracked or broken water pipes, or internal corrosion of the water heater itself. The average household wastes between 11 and 12 THOUSAND gallons of water per year waiting for hot water. Call D. Martel Plumbing today to see if a recirculating pump would be a good fit for your home. Better known as "water hammer". This is usually caused by too much or too little water pressure in your home or improper heating from your water heater. 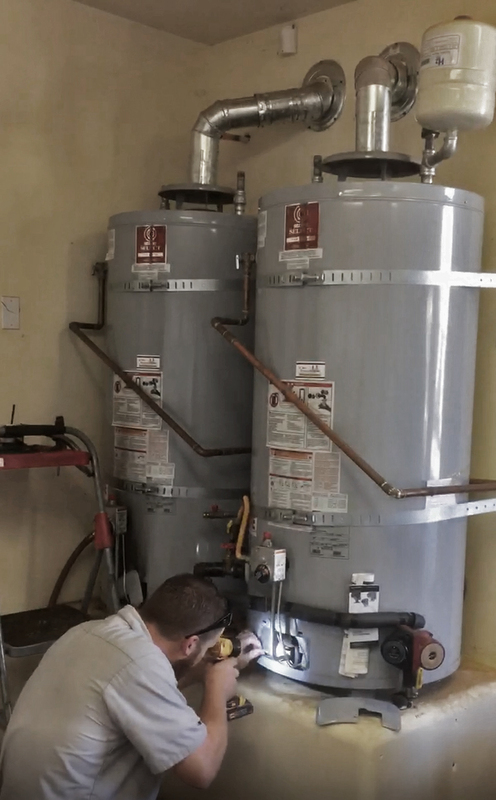 Our technicians can diagnose the cause of the noise and suggest water heater repair, installing or adjusting your pressure regulator, or discuss adding a water heater expansion tank. 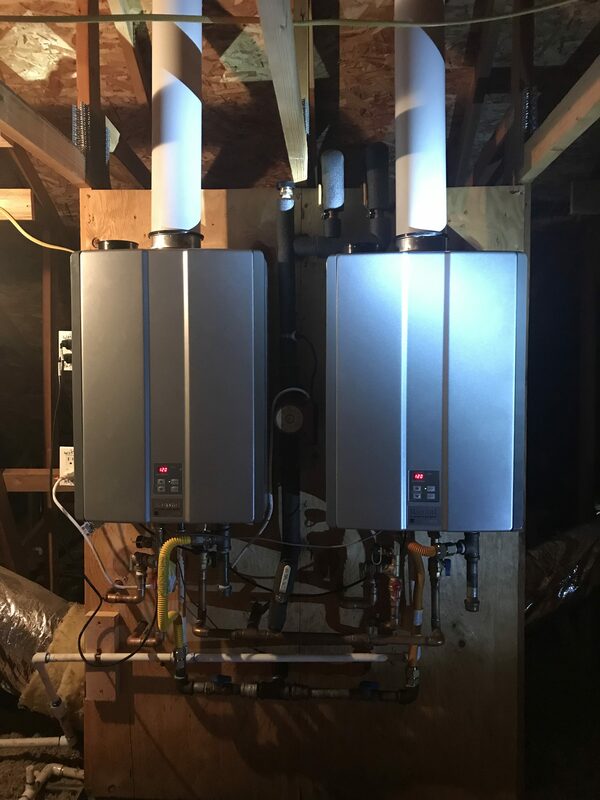 For more information on Water Heater Maintenance and how to prolong the life of your water heater, please click HERE to visit our Homeowner's Section.